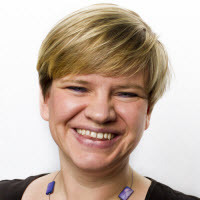 Femke Goedhart is a Business Consultant specializing in Social Business, Collaboration and Document Management. She is currently working for Silverside, a Premier IBM Business Partner in The Netherlands, as well as working as an independent consultant for Ipsamet Consulting. With a keen eye for adoption topics as well as usability she works on translating complex business problems into workable solutions. Apart from her role as Business Consultant, Femke is also a regular blogger & speaker on topics relating to document management & social business and an IBM Champion.